Wind chimes in your yard will serenade garden creatures – squirrels, fairies and angels. Girl, girl, I’ll be your sunshine, you can be mine. You’ll be my wind chime. I’ve got the rhyme. Walk through the time flux hand and hand with clear mind. Chords are harmonious like the rhythm of wind chimes. Wind Chimes are Martha Stewart’s boombox. Zuzu Bailey: Look, Daddy. Teacher says, every time a bell rings an angel gets his wings. The true form is magnificently illuminated with gleaming fire. The teaching’s voice is total silence amid the ringing of wind chimes. The moon hangs in the old pine tree, cold in the falling night. The chilled crane in its nest in the clouds has not yet been aroused from its dreams. Dr. Rick Dagless: What’s this? Dr. Rick Dagless: What’s a dreamcatcher? Linda: It’s like a wind chime. Dr. Rick Dagless: Then why didn’t you say wind chime? Various Sagebrush programs are able to record and play MP3, but only if you already have an ACM MP3 audio codec installed on your computer, which was common during Windows XP but less likely in later versions of Windows. We do not bundle an MP3 encoder with our products because the technology is covered by software patents, whose validity is recognized in the country where Sagebrush is located. The licensing fees are prohibitive. The various MP3-related patents expire on dates ranging from 2007 to 2017 in the U.S. The initial near-complete MPEG-1 standard (parts 1, 2 and 3) was publicly available on December 6, 1991 as ISO CD 11172. In the United States, patents cannot claim inventions that were already publicly disclosed more than a year prior to the filing date, but for patents filed prior to June 8, 1995, submarine patents made it possible to extend the effective lifetime of a patent through application extensions. Patents filed for anything disclosed in ISO CD 11172 a year or more after its publication are questionable; if only the known MP3 patents filed by December 1992 are considered, then MP3 decoding may be patent free in the US by September 2015 when U.S. Patent 5,812,672 expires which had a PCT filing in Oct 1992. Just for the sake of caution, let us take the more conservative date of December 30, 2017. We hope and expect to be supporting RecAll and RecAll-PRO well into the next decade, so it is quite possible to wait out this particular portfolio of patents. Recently we described how to add new instrument voices to WinChime, beyond those pre-defined in the drop-down list. TL;DNR version: Enter the MIDI instrument number (minus 1) in the edit box portion of the drop-down list. 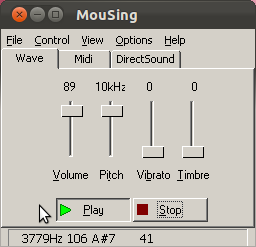 You can do the same trick in MouSing, on the MIDI tab main window. 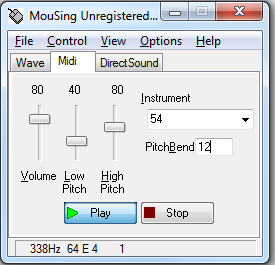 MouSing MIDI depends on pitch bending, which varies in quality of implementation by audio device. In particular, MouSing-MIDI works best with large pitch bend ranges, beyond the plus-or-minus two semitones in the General MIDI specification. With large pitch ranges, MouSing doesn’t need to start a different note because that produces a note attack sound– not very theremin-like. If you hear a break in the sound when using MouSing-MIDI, that’s what is happening: you hit a note boundary and have started another note with its associated attack. Useful theremin-like MIDI instrument voices have indefinitely long sustain and little or no attack. We pre-defined six instruments in the drop-down list: Ocarina, Synth(sawtooth),. Synth(square), Flute, Whistle, and Choir Aahs. We left out a few that might be useful, so refer to the table in this article and experiment. Previously we described how to run RecAll-PRO, RecAll, and other Sagebrush programs on Ubuntu Linux, using the free open-source Wine software library. Here we show how to do the same thing with MacIntosh running OS X on an Intel CPU. 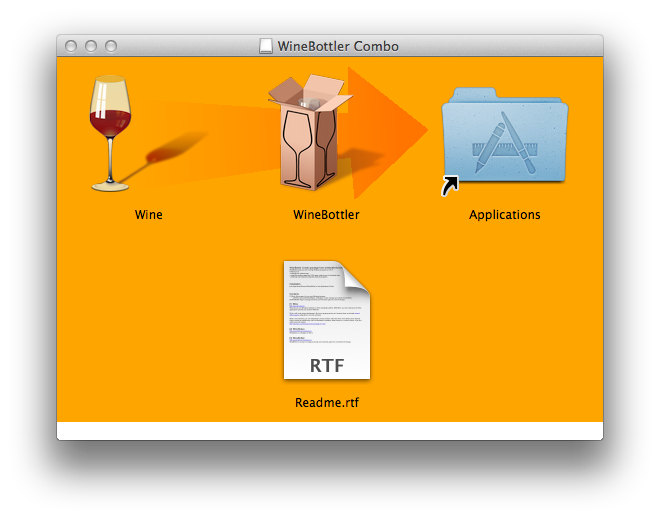 Drag and drop Wine and WineBottler to Applications Folder shortcut. Go into the Applications folder and double-click Wine. You should see a wine glass icon in the upper right tray. 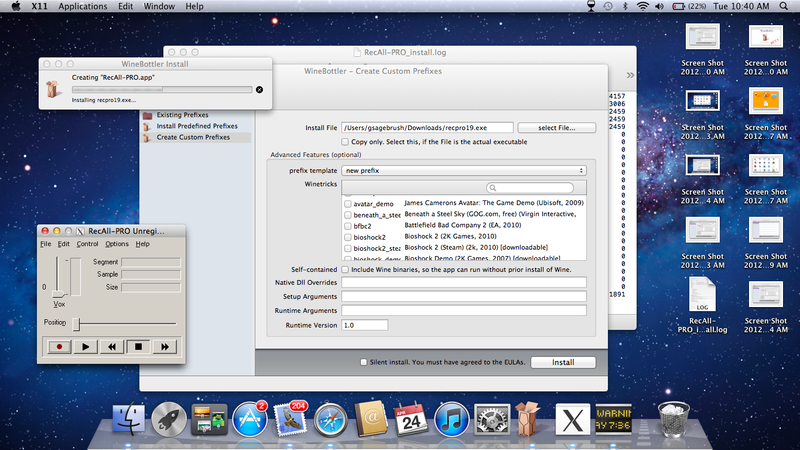 Double-click WineBottler in the Applications Folder. Select “Create Custom Prefixes”. 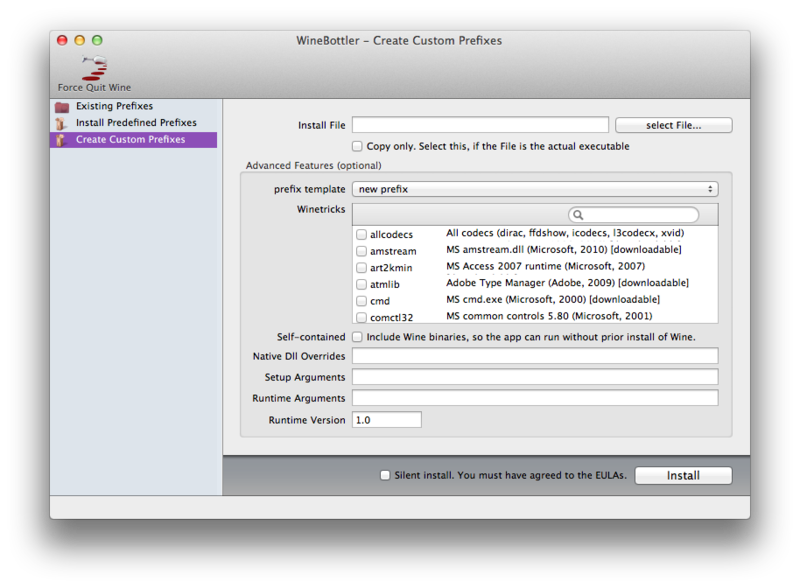 Download the most recent RecAll-PRO .EXE file and click the “select File…” button in the WineBottler window to select this file. (Under Winetricks an “allcodecs” package exists, but it doesn’t seem to refer to ACM codecs used by RecAll, so don’t click any packages.) Click the Install button. 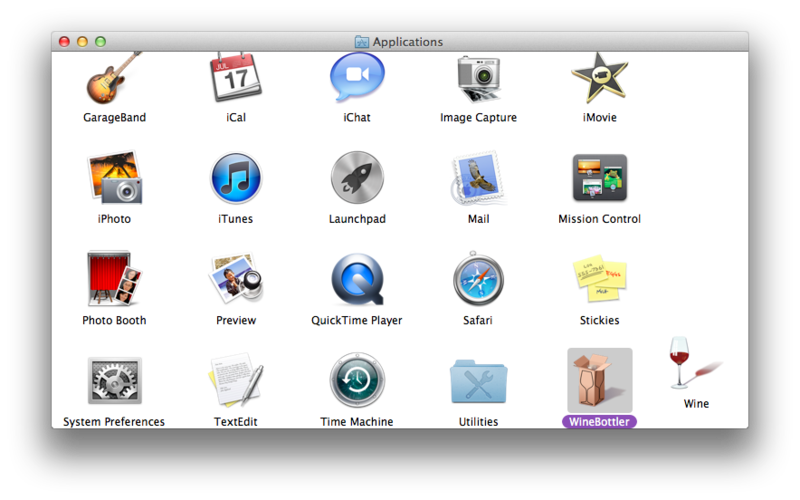 In the pop-up dialog, select the Applications folder and change name to RecAll-PRO. 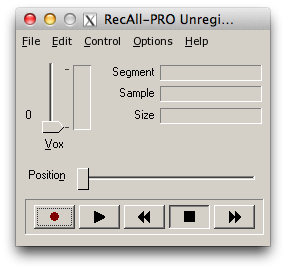 Run the RecAll-PRO installer and try out the program. No Wave or MP3 compression codecs are available, but uncompressed Wave and all Vorbis/Speex compression works. (Perhaps some Wine/Mac guru can figure out how to make MP3 work?) The next time you want to start the program, look in the Applications folder. WinChime Help has a table of MIDI instruments, in the table of contents at Operations-> MIDI Instruments. (The table is included below). As an example, take Kalimba, with number 109. Subtract 1 to get 108. (Why subtract one? It’s a long story. Just trust me on this.) 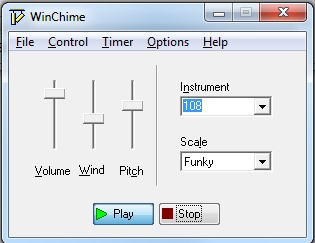 Enter that number into the edit-box portion of the WinChime main windows Instrument combo-box. Try playing and see how it sounds. Now try entering other random numbers between 0 and 127. Instruments with a distinct attack and slow decay, such as Tubular Bells, make the best traditional wind-chime sounds, but on some days you might just need “Voice Oohs”, number 54. The Sagebrush Blog began on April 9, 2007, so we are five years old today! We haven’t actually been blogging continuously all that time, taking a hiatus from April 2009 to October 2011. 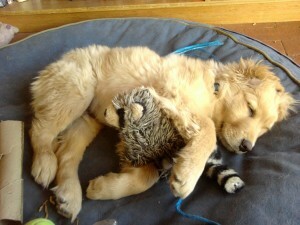 It is hard to avoid the dreaded blog-poster burn-out. My current goal is to post at least once a week, with about 30% of new posts to be tutorials or technical application notes in long form, while the rest are breezy pointers to cool stuff elsewhere tangentially related to Sagebrush products. Install Wine and MouSing using the procedure described in Installing RecAll-PRO and RecAll on Ubuntu Linux. 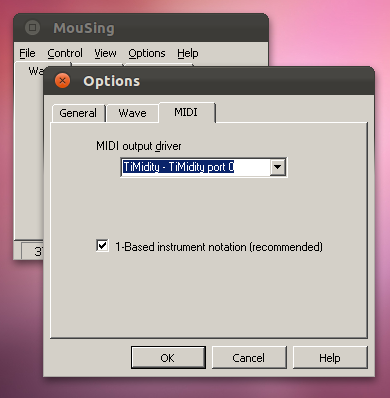 If using the MIDI option in MouSing, install the Timidity MIDI daemon as described in Installing WinChime on Ubuntu Linux. If using MIDI, go into menu Options-> Preferences->MIDI and change the MIDI Output Device to an existing device. Adjust the volume and pitch settings on the main window. 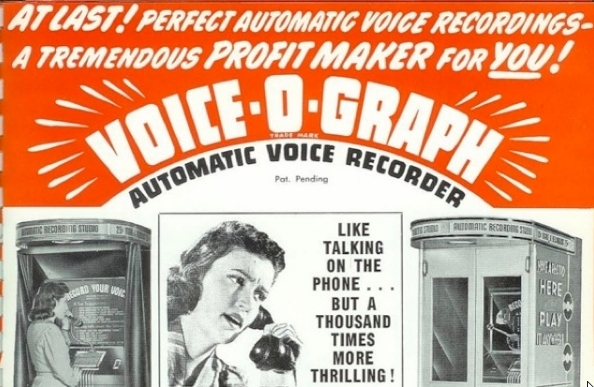 Remember when voice recording was hard? Rare? A special event? Cost money? Required special hardware? Full size ad at Vintage Ads. More ads and hardware photos at Pinrepair. 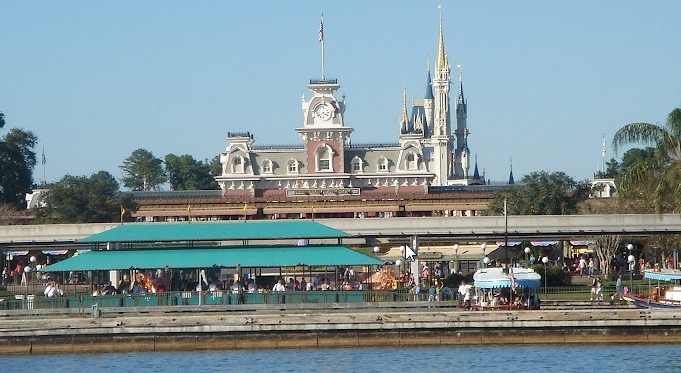 Check out this interview with the person who designed the ambient sound system for Disney World. More than 15,000 speakers have been positioned using complex algorithms to ensure that the sound plays within a range of just a couple decibels throughout the entire park. It is quite a technical feat acoustically, electrically, and mathematically.